This is a post about what colors of paints we have. 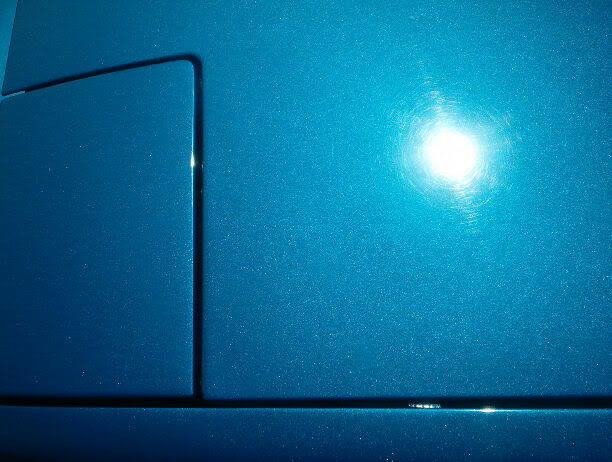 A lot of people ask for pics of certain colors on our cars... So I figured we could use a sticky with everyone posting every color that we all have. 2. Post a clear picture so you can see the detail. 3. No at night pictures with light on them. 4. Give us the INFO! The color, the brand, who did it, how long it was gone to whoever you had do it (or if you did it yourself, how long did it take you?)! Last edited by Rabbitt; 10-08-2004 at 06:33 PM. done my self took about 1 year total including body prep. soon i will have complete together pics then i'll post the finished look. Last edited by JeffW; 11-30-2004 at 11:29 PM. GM stock silver (GM8523). Body shop. Month. Took 2 years to do it by myself with the help of my dad. 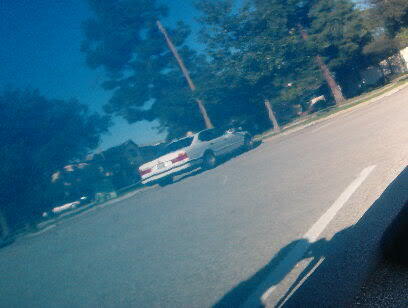 The car used to be red and it was hit it the front. 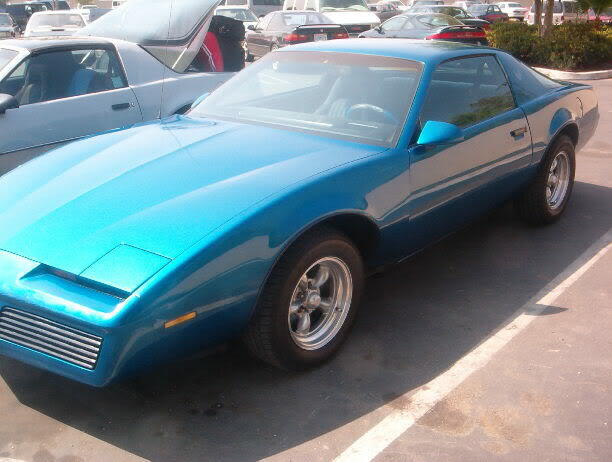 Here is my 89 firebird. Dupont Red Hot. I did the work myself in about 3 nights. Month in the shop done by brian nehring from aurora colorado 2800 bucks all body work, paint, ghost work, color sandign and polishing. 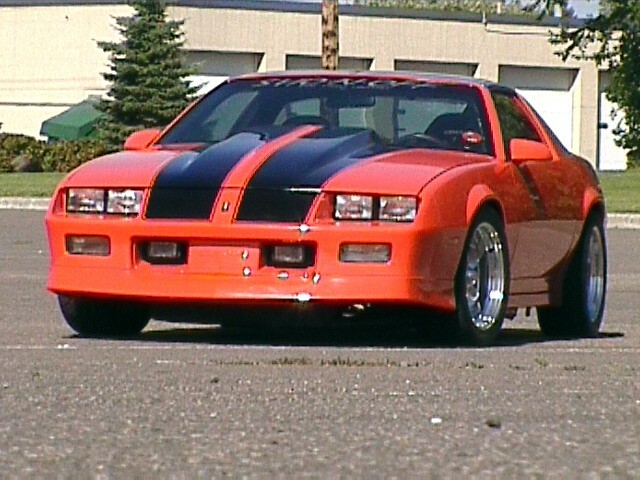 Mine is flame red.I did it myself in my garage in about 2 weeks.It is omni paint and clear. Last edited by Randy82WS7; 01-13-2007 at 12:34 PM. Last edited by RED92BIRD305; 11-01-2004 at 10:58 PM. I have always love JeffW's and 87TPI. 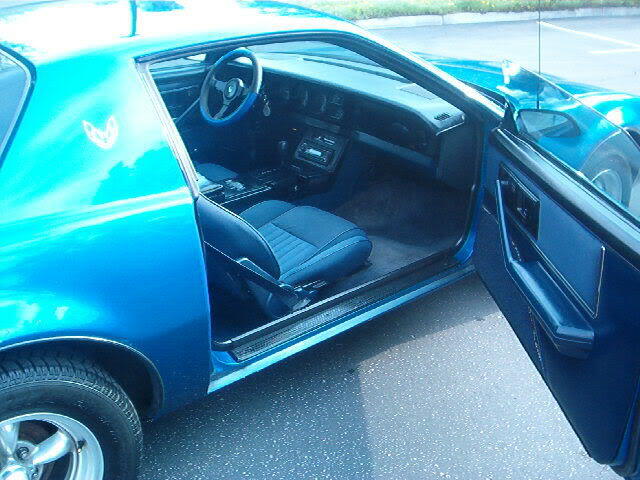 I think maybe i want my car to be like JeffW's but with purple and have that same saturation of that blue. Last edited by JeffW; 11-20-2004 at 11:21 PM. Thanks, thats wicked sick! Youve got a pretty sweet ride. Primer Black it actually looked alright but hell i missed the flashyness of paint. heres a lil better pic of the color if you look on the spoiler theres a grey on it, thats the actual color in the sunlight. Last edited by curtis84ta; 12-05-2004 at 09:38 AM. Chrysler Bright Platinum Metallic. Paint Code: 4820. I of course learned of the color from Flyinlow89. Can't wait til the rest of the car is painted to match! JeremyNYR Chrysler Bright Platinum Metallic. Paint Code: 4820. I of course learned of the color from Flyinlow89. Can't wait til the rest of the car is painted to match! ya that grey is MINt it looks killer, i wish i had thought of it when i went to get my car painted. I love my car color. Ultra Blue Matalic RPO code 98U. 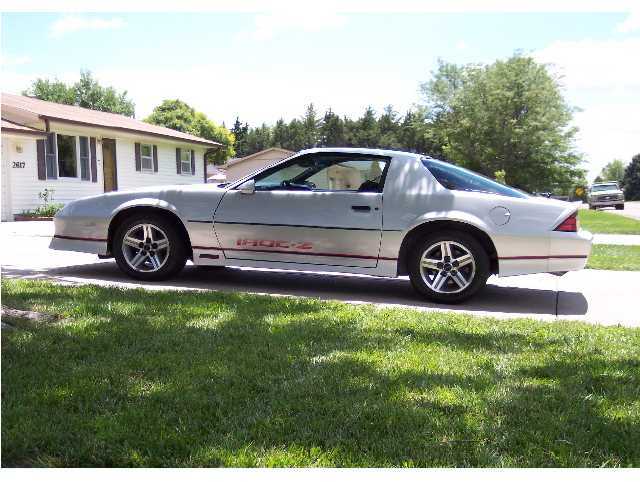 The turd.... painted '89 T/A white (will insert paint code here next time I'm in the garage). Self painted.. PPG base & PPG2021 clear (or maybe 2024.. been awhile since I've done any painting.. I'll edit this part, too.. lol). 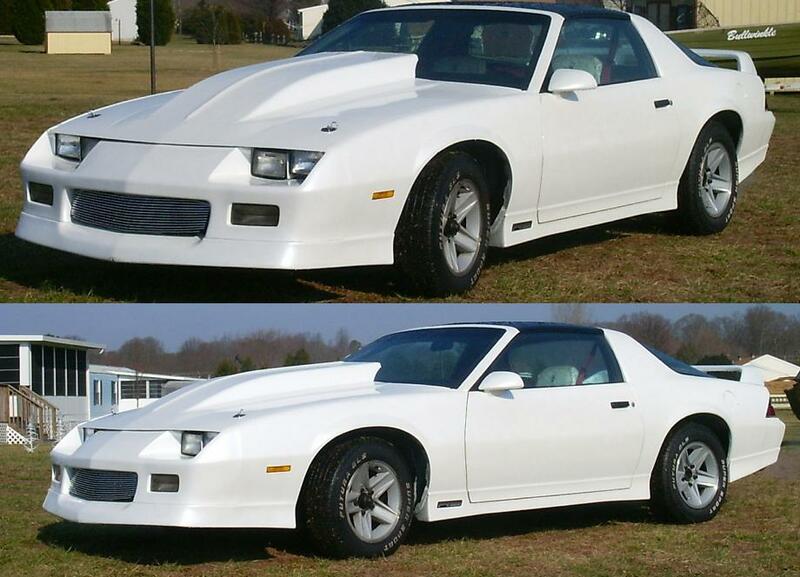 Pearl white paint, i did all the body work myself, my dads work painted it as a side job.. id say it took me 3 months here and there to get the body work right where i wanted it considering i had to replace the passenger fender, new light buckets, Weld all the holes shut from the tail cause i have the z28 spoiler, had to mold on my cowl for temporary untill i get a bolt on fiberglass, and finally shave the antenna.. i love the paint tho : ) it shines up nice... i cant give a night pic but thats when the pearl is like whoa!! Silver Metallic and Lamp Black. 4 weeks in Mexico. 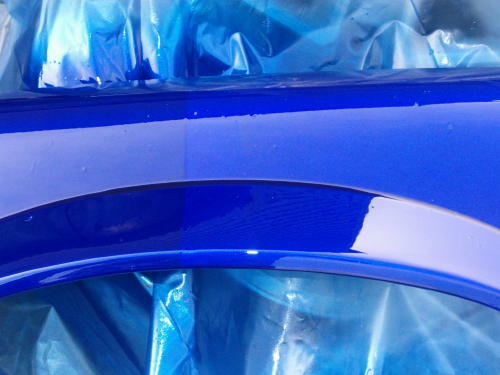 and PPG 2021 clear coat. Last edited by 1tinindian; 02-07-2005 at 10:59 PM. Its got a tone of pearl in it and is hard to see good in the pic heres two.... sun makes it look alot lighter. I love it in the sun but on glomy days its kinda a boreing looking. Last edited by jcurrieirocz; 02-14-2005 at 09:49 PM. hey that looks nice! qustion for ya! did you grind or cut the part where the bottels go? i see no holes or a stumped up part to where they would go... vary smooth looking inerfenders! Thanks for the compliment! It means a lot especially since your camaro is pretty sweet looking itself. Still needs more body work. Can't see in pics, but it does! Some minor rust under car, and the paint needs a wet sand and buff. 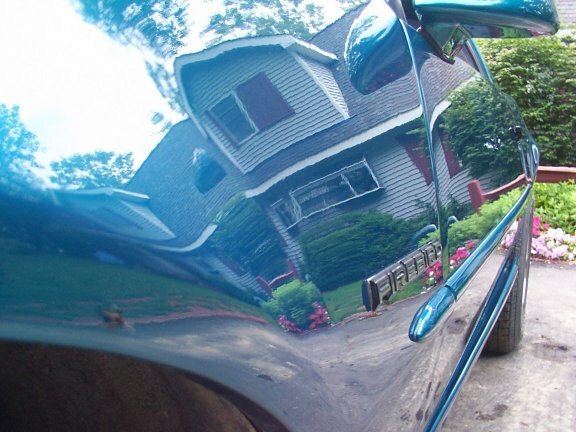 This car was stripped to bare metal and refinished in 2 weeks. I have gotten a lot of compliments on this paint job. But, it's not even wet sanded or buffed yet! Can't wait for the finished product! Last edited by Camaro_nut; 02-27-2005 at 04:11 PM. 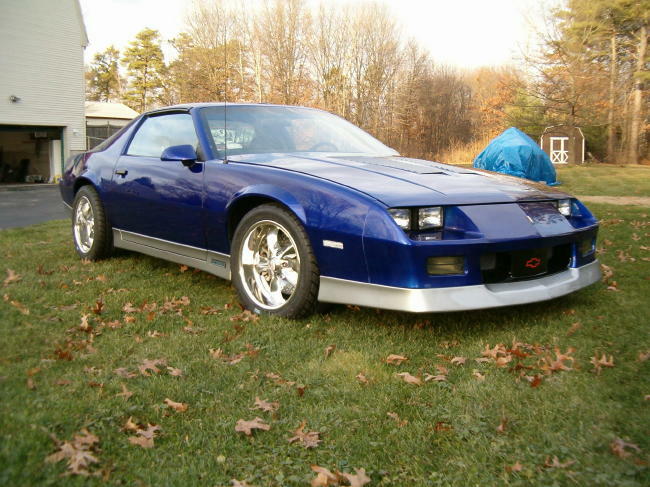 I once seen a 1992 Z28 painted Pearl Blue with Ghost Flames. 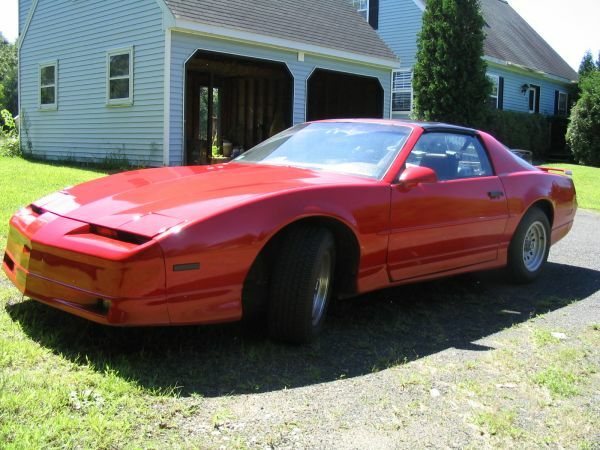 If anyone is thinking of painting there car and has some cash to spend that would be a wicked paint job. Transmission: 6speed from an unidentified 4th gen. ask me, ill tell you. 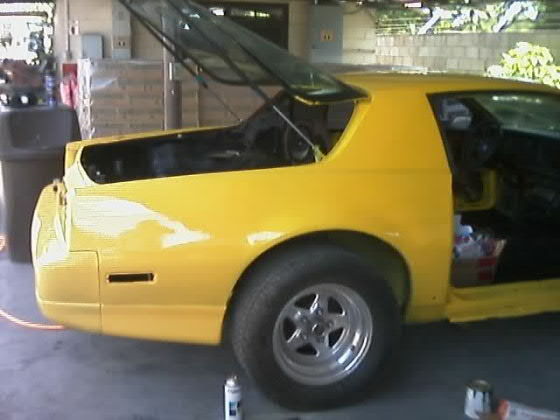 There were some coverage problems and I had to have him respray a few areas, because we chose to use grey primer try using a white or tan primer. ADVICE: Factory paint is very thin under the GFX and in some spots I could see metal. 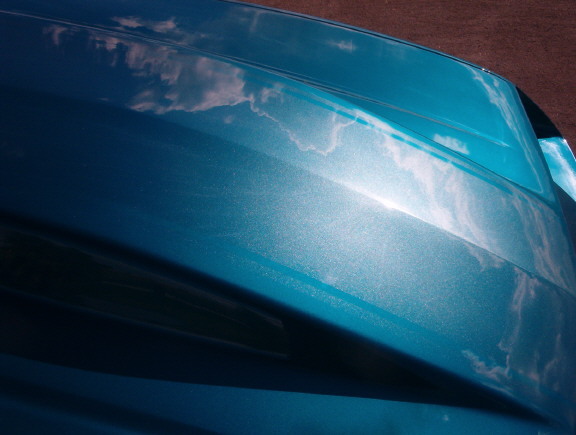 If you are going to keep your car for a while then I suggest the extra work to paint the GFX separate and get a good seal on the metal under them. 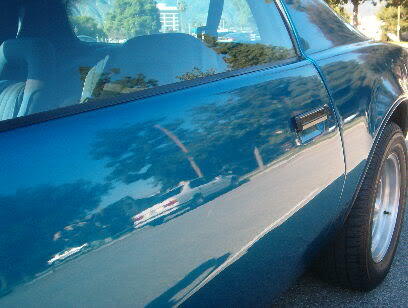 Alot of road dirt and moisture gets trapped under there and is a perfect enviroment for rust. Especially you people who have to deal w/ road salt. Last edited by carfixxer; 03-26-2005 at 02:26 AM. Last edited by 82knightrider; 10-07-2005 at 05:31 PM.